E*Trade opened its doors in 1982, in Palo Alto, California. Ever since that day they have grown in leaps and bounds and their services have complimented this as well. They have become one if not the biggest service providers when it comes to banking, investment and securities services in the United States. They have separated their roles as a business to ensure that they work at a full capacity and to ensure they are getting their clients the best off all their services offered. They have a securities firm called the E*Trade Securities LLC; this firm handles everything to do with the buying and selling of securities; it is a member of FINRA and SIPC. They also have an investment advisory firm called the E*Trade Capital Management LLC; this firm is a registered investment adviser, and a trusted one in the industry. They have a banking firm that handles all the banking needs, E*Trade Bank; it is registered as a Federal Savings Bank, and it is a member of the FDIC. All these work as separate entities but they are still affiliated; they carry the E*Trade brand with pride. E*Trade offers the following services through the corresponding entity; stocks, ETFs, mutual funds, bonds and fixed income, options, and futures. All these products can be traded on a speculative and on investment or long-term basis, and that is one of the advantages of using E*Trade as your service provider. The stocks and options trades incur a maximum of $9.99 or less, the options are charged 75 cents per contract, the charge a $1 for every online bond rate traded, and they have 2700 no load, no transaction fees mutual funds. This is a good choice for that trader who is looking for quality discounted services. E*Trade has one of the best trading platforms in the industry; they built their platform based on the customer requirements; they are still making it better by improving its performance and productivity. They have three types of trading platforms that suit the requirements of each trader as required. They have the mobile platform that is downloadable on various mobile platforms; the Android, iOS, Windows platform, Amazon, and Kindle. This not only makes the platform accessible to more people but it proves that they are committed to getting their clients to trade whatever the situation they are in the mobile platform is enabled with research tools and other hi-tech tools to improve the trading experience and results of the trader. Their web platform is one of the best trading platforms in the world without a doubt. The web platform allows the client to manage all accounts from a single point; they can also place trades and do their research as well on the same web platform. They have improved its accessibility by creating a chrome browser extension, this way you can do your research easily with a simple click. 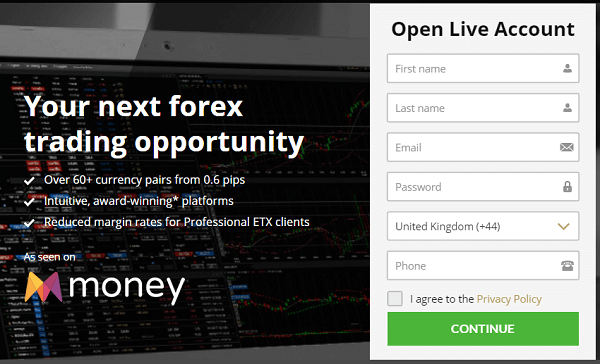 The E*Trade Pro is the desktop application provided for by E*Trade, this platform enables a point and clicks order entry, it has pro trading tools, uses real-time technology track the best assets and news alike. It has an idea generating tool which is very handy especially when you have a lot of options to look at, and it allows for an easy portfolio customization and management. E*Trade has made it easy for their clients to access educational material and not only that but access it easily. They have managed to do this by breaking down each of their assets offered into course structures, and they have added an additional section to make it a complete course. They have the investing course, trading, retirement, stocks, options, and mutual funds and ETFs. The other educational resources offered are the live events organized by E*Trade for their clients and the videos that can offer a visual representation of what one learns through the course. All the information offered in their education section is covered by a disclaimer that one has to accept before starting off, failure to accept the terms offered and that means you are going to be redirected back to the homepage. E*Trade has set easy to use and navigate deposit and withdrawal section. Their options are not similar to those offered by most brokerage firms, you may expect a card payment from other firms but do not expect the same from E*Trade, they have remained in the more traditional ways that are safer and more secure than the newer methods created. They have a free quick transfer method that takes 3 business days for your deposit to reflect on your account. The wire transfer method is the fastest method for depositing since the funds appear in your trading account the very day you make the deposit, there is a process offered by E*Trade to make this method a success. The other method that is quite lengthy is the transfer account method that takes 10 business days to complete. The last method to deposit funds is the mail your check; this process takes 5 business days to complete successfully. All these methods are secure, and the support team will help you make your payments successfully without any problems. E*Trade has a very well structured support system; they have a need help section near the bottom of their web page, and this section covers a lot of issues that may arise as problems to the clients. The need help is a structure in an interview like manner where the client will have an interactive experience as they navigate through the areas of interest. They have a toll free number that the client can use to inquire if need be. They also have branches around the country where clients can visit, and their issues will be addressed, and lastly, they have a live chat handle on their web page; this is a very useful tool especially for urgent issues. 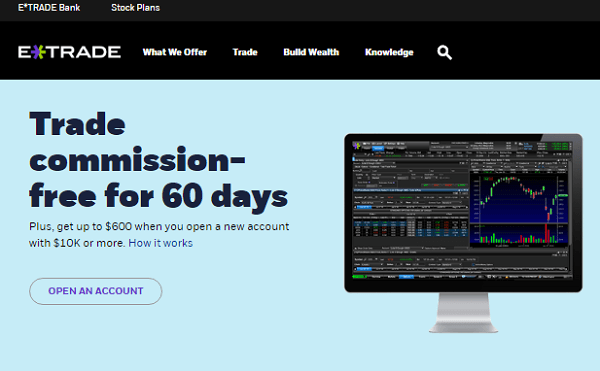 E*Trade is one of the best in the industry, and they are very reliable too, their services are impeccable, and I will give them a high recommendation for anyone who wants to try them out.